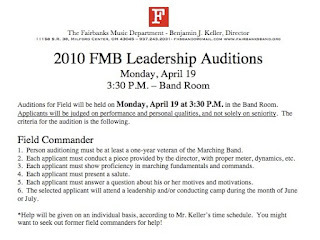 Field commander auditions for the 2010 Fairbanks Marching Band will be held on Monday, April 19 after school. Candidates must meet the criteria and be prepared to conduct, present a salute, give and execute commands, show good marching fundamentals, and answer an interview question. Below are both the audition criteria and a copy of the judging sheet (click to enlarge). 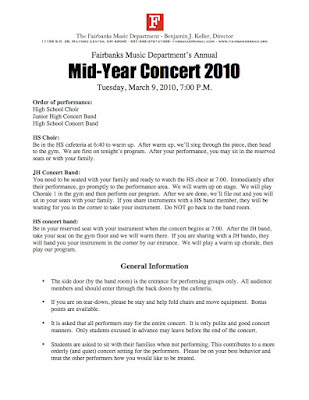 Music scores for conducting will be given out in class. You can listen to the recording of the piece here. If you have questions about the audition, or need individual help, please see me at your convenience. It's looking like it's pretty certain. AVATAR will be our show for the 2010 season. I usually shy away from trendy shows, but if we're ever going to tackle something like this, it's going to have to be now while the wonder and amazement are still fresh and blue people don't become cliche. I have the music ordered and it will arrive in 2-3 weeks. If you would like to listen, you can go to Hal Leonard's site and preview the show. 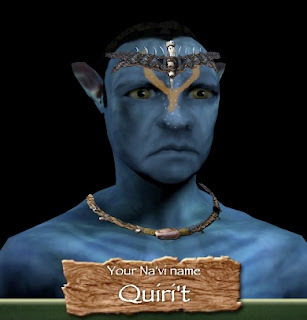 If you would like to "Avatar" yourself (like I did in the pic) go to the official site. No. We will not be wearing blue makeup. I promise. Things went VERY well at Monday's rehearsal. I know it's still a little rough in spots, but we have three weeks until the performances! Friday, April 9 - 6pm call for 7pm show. Saturday, April 10 - 6pm call for 7pm show. Just a reminder, that you'll need an all-black outfit for our performances. You'll also need to provide your own transportation to Vets Auditorium the week of April 5 for rehearsals. If you are carpooling with another student, please make sure you have parental permission. I will not transport you in my vehicle. 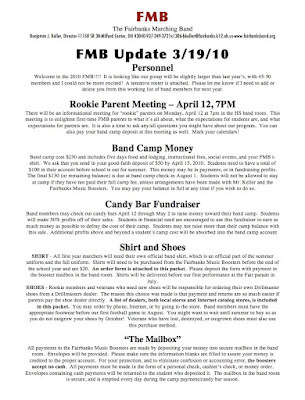 This packet of information will go home with 2010 FMB members on Friday, March 19. Please contact me if you have any questions. Click each page to enlarge. Here's all the details. 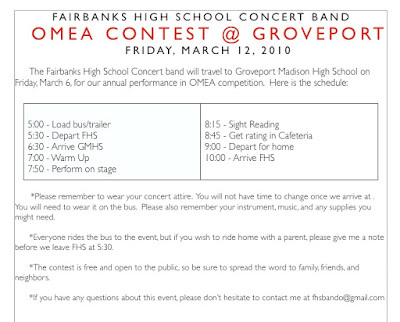 We leave FHS at 5:30 and return at 10pm. 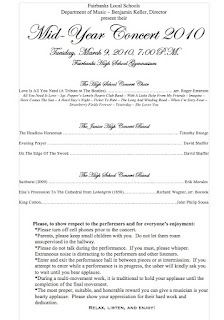 Our performance time is 7:50 at Groveport Madison High School. Click the image below to enlarge and get all the details. Maps will be available shortly.